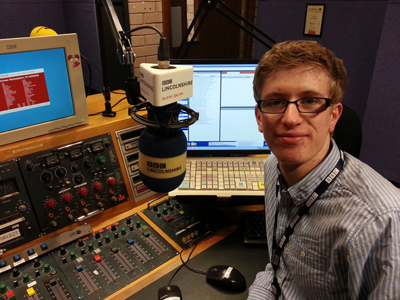 Jonathan has recently taken a contract at BBC Radio Lincolnshire working on Drivetime and as a Journalist, and will begin news reading at the station. This year he was awarded runner up at the national BJTC Awards, which are the main awards for student journalism. Jonathan was nominated in the Radio News category, for a piece he did which told the story of an old wooden boat, that's been left rotting in Lincoln.